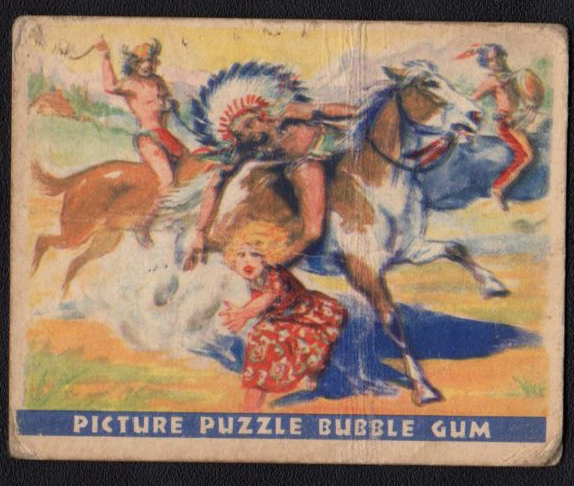 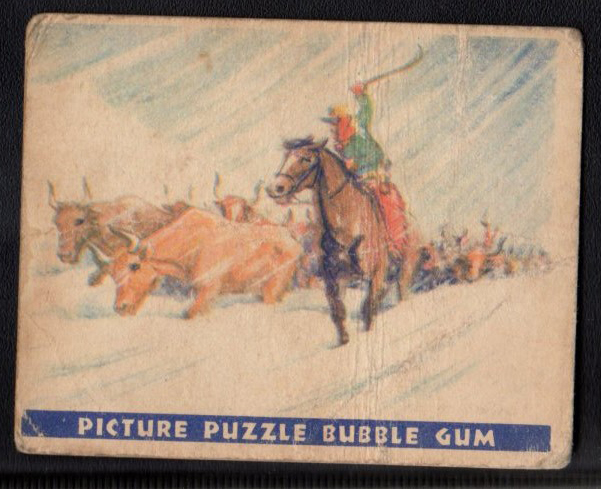 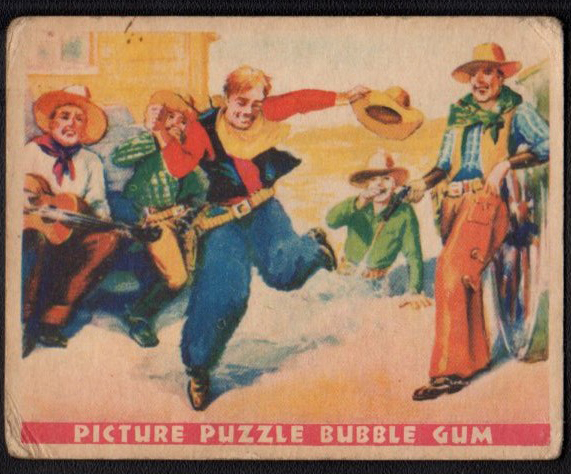 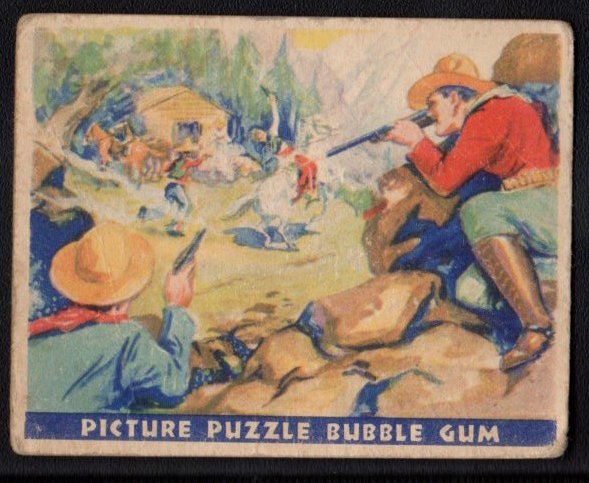 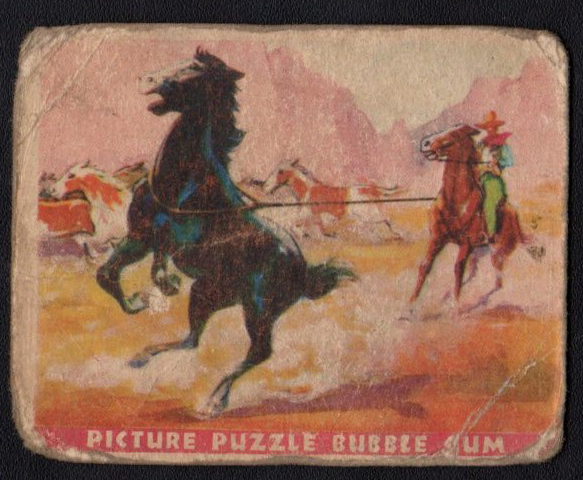 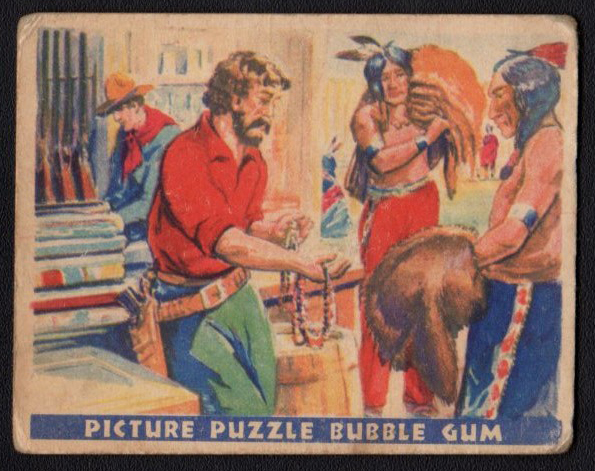 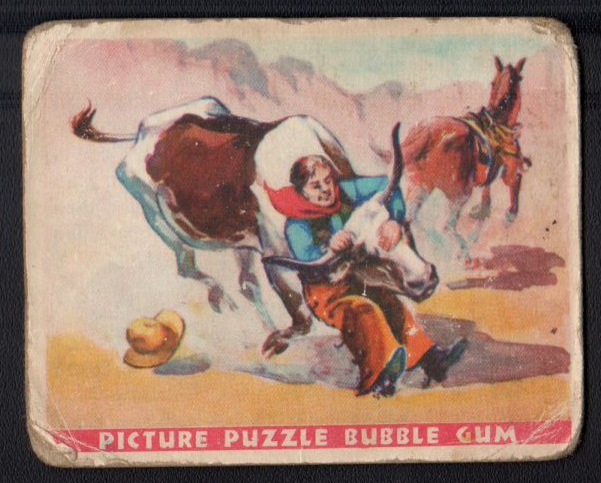 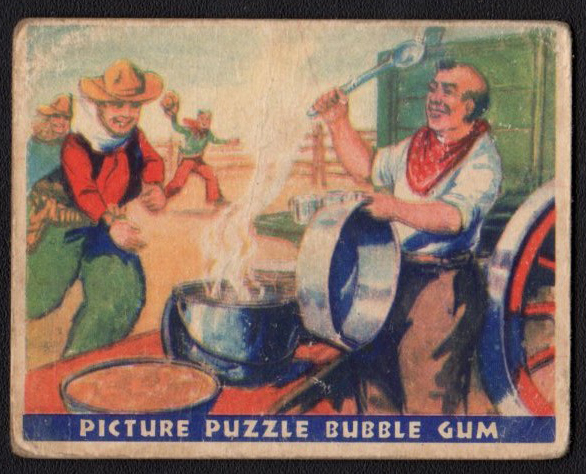 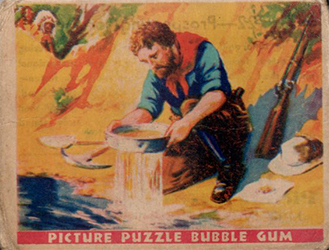 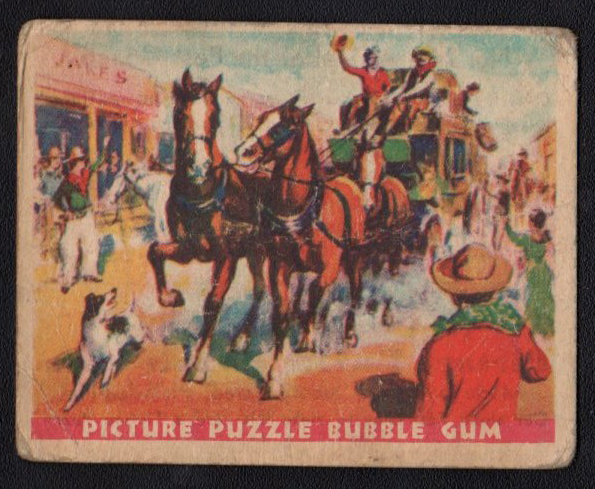 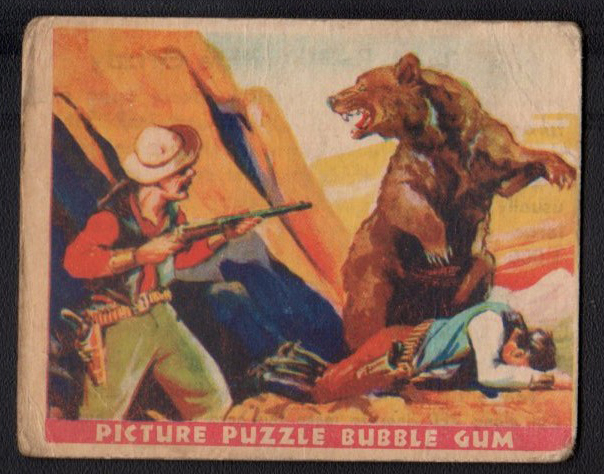 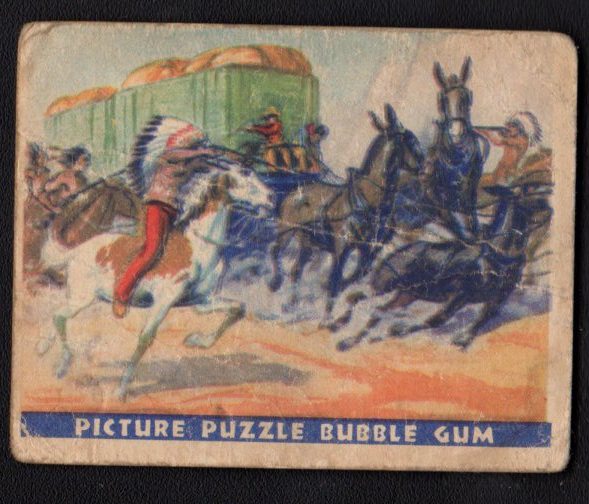 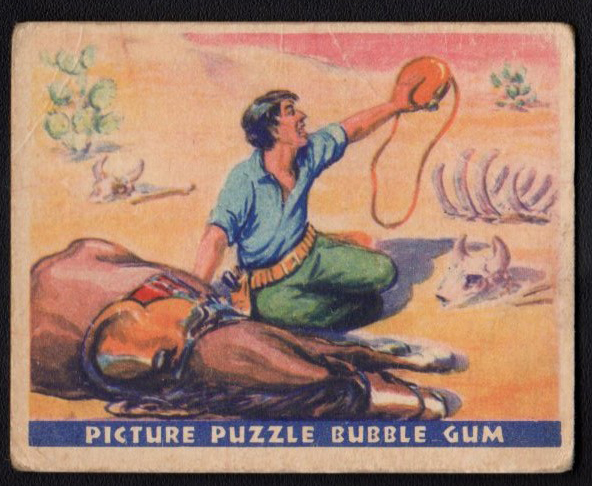 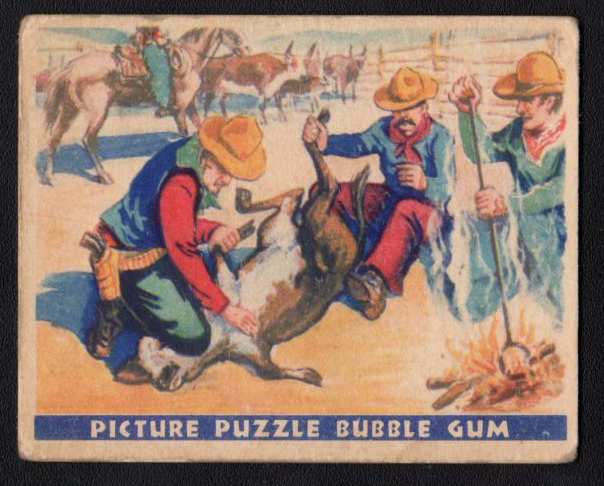 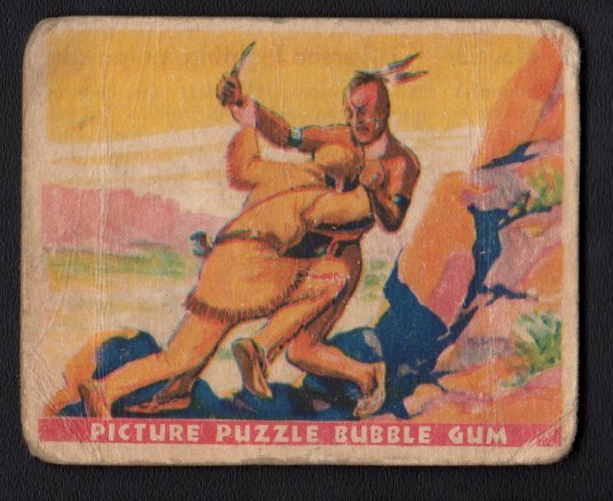 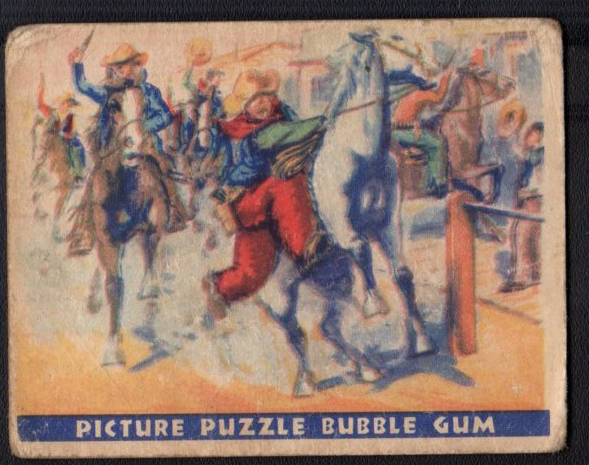 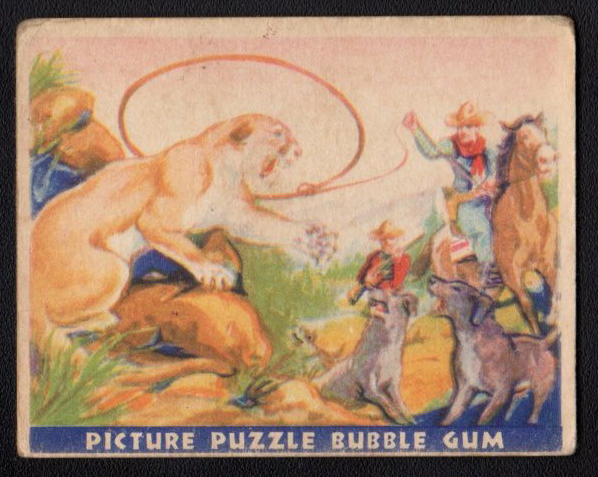 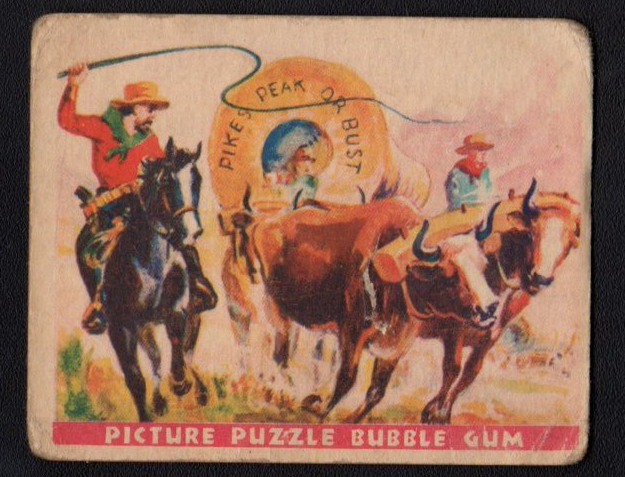 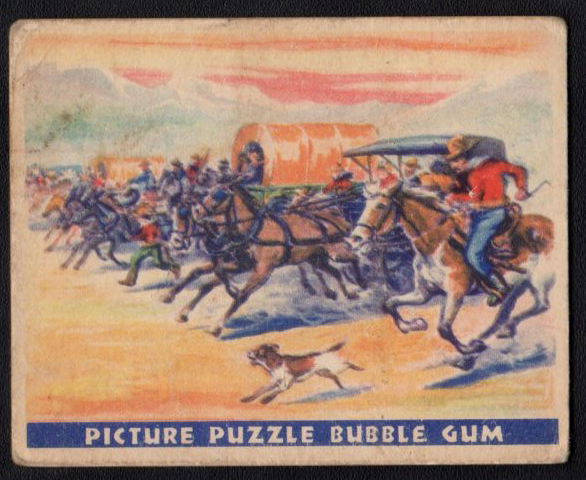 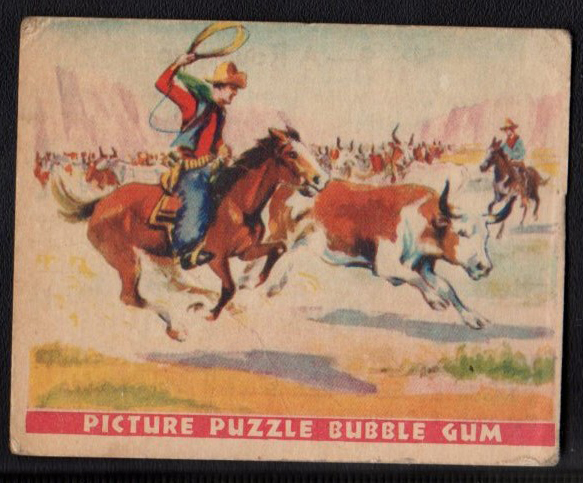 The 1933 Gum Inc. Wild West Series features various wild west scenes and cowboys and indians! 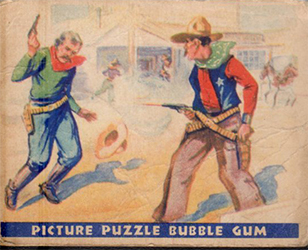 The series contains 49 cards. 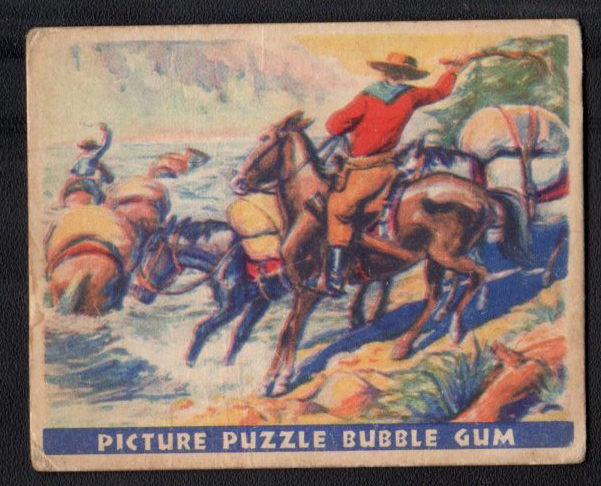 Card numbers 1-24 have red printed captions on the front while card numbers 25-49 have blue printed captions. 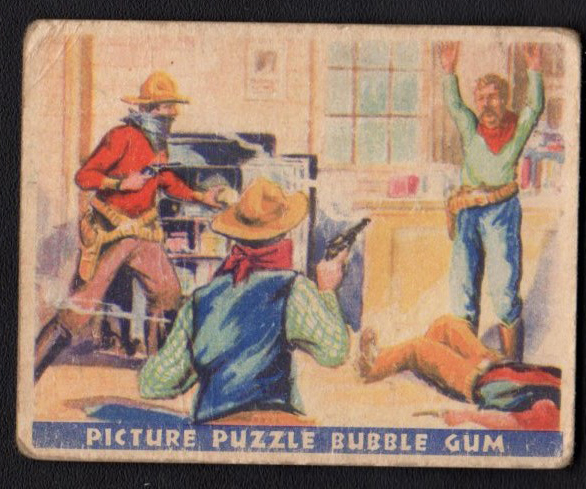 Card number 25 was a premium for a cowboy outfit and was extremely limited and rarely seen. 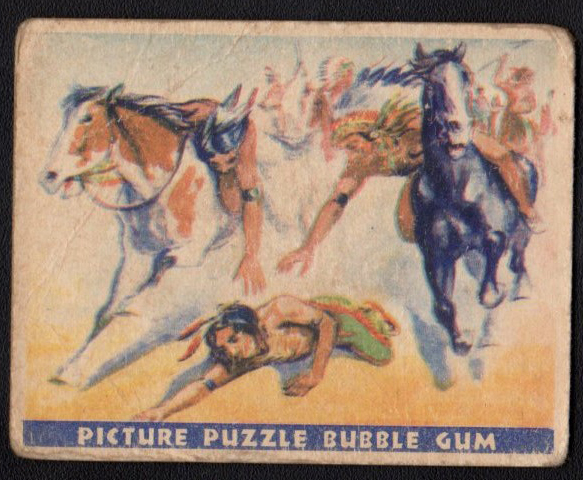 The set is considered complete without card 25. 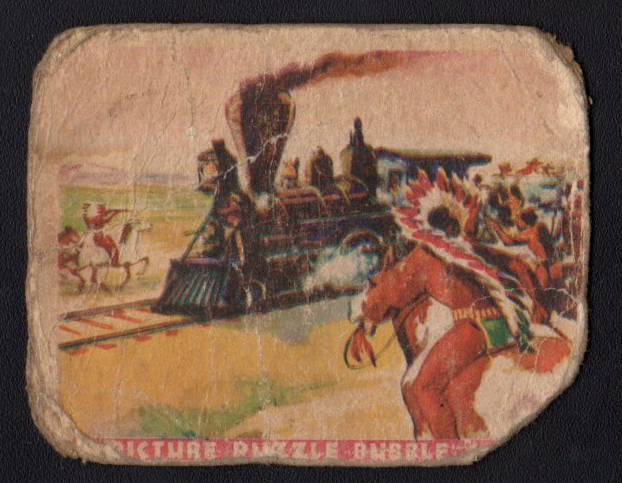 The fronts have color drawings of wild west scenes and the backs have descriptions. 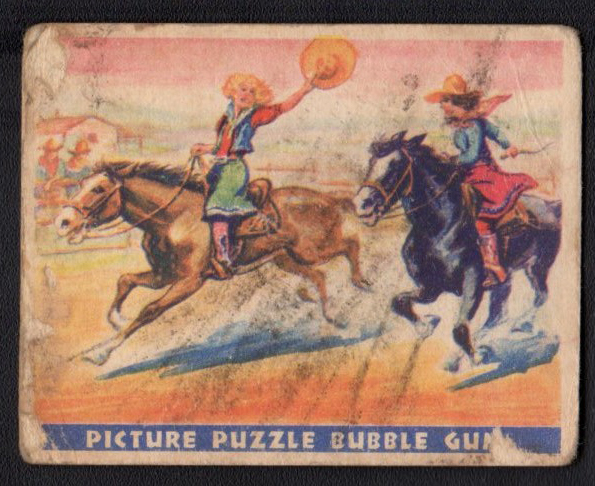 These cards all have the puzzle variation backs. 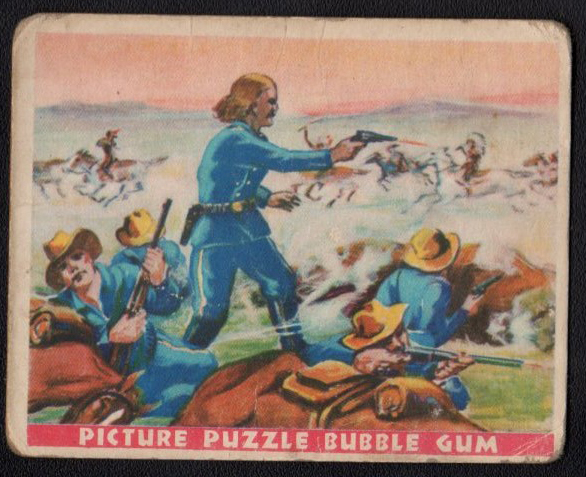 Stars include Davy Crockett, Jesse James, Kit Carson, George Armstrong Custer, and Wild Bill Hickock. 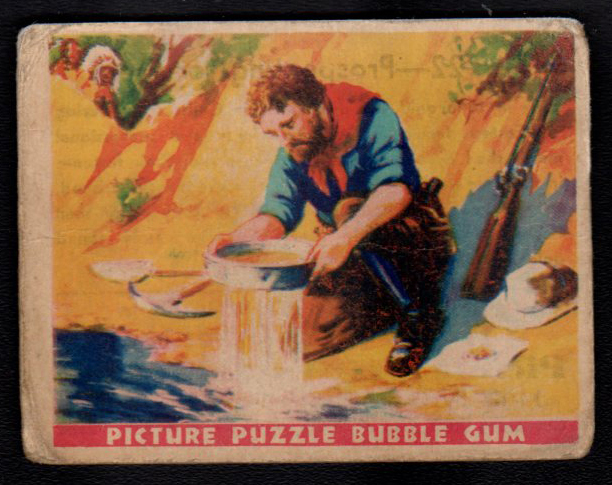 The cards measure 2-1/2" by 3-1/2" in size.